I read that post earlier this morning and found myself agreeing with pretty much everything she said. I quit HIMYM last week. So that was my last ever ep. I did really love it. At one point. It was funny and different. But I can’t remember the last time I really laughed when watching it. As for the mother? Well, I like your theory. You’re right. Why does the mother have to be the wife too? Though, sadly, I’m at the point of not caring anymore. HIMYM… you were great. Three years ago. Thanks! I wonder if it’s a plausible theory, but I guess I’ll have to wait and see. Those kids he’s telling the story to must be really quite bored by now. I don’t know how they’re still sitting there listening! I think a lot of sitcoms stop being about their title pretty quickly these days. Point In case here. Also, New Girl too. How long is she going to be the new girl? I can’t even begin to imagine what they’re going to do for the next 2 seasons. How far can they stretch it? It’d be great if Ted met the mother at the end of this season (if it’s not Robin) and the next 2 seasons are spent on their relationship. Surely the kids would want to know about that? Yeah, I think the idea of having the kids sitting there listening worked for the first couple seasons, but now its not working so much. It kind of forces a lot of shows to come up with more general titles like “Glee” or “Modern Family” or “Psych” because it can still sum up the show without having a deadline or expiration date. [SPOILERS AHEAD FYI] I think there’s a really good possibility that season 8 could be the final season, and I partly hope that they choose to go the route of only more season as opposed to two. I know you said you swore off watching, but if you watched the most recent episode, you might be able to see how they have some ideas swirling for the next several episodes. 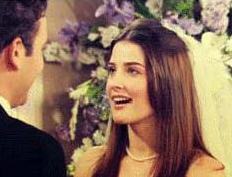 My thought is that there’s a whole lot of possibility if Ted meets the mother, marries her, has kids with her, and then something else entirely crazy happens and he ends up marrying Robin. Good theory although I think it’s a long shot with what Ted (“the dad”) is to the show. Season 1 I think Ted explained to his kids about Robin and the kids were shocked, then he said “And that’s how I met your Aunt Robin..” and the kids were still surprised. I don’t know maybe I’m reading into it. Thanks for commenting, Tim! No, I don’t think you’re reading into it – there are so many possibilities, that it could be a number of things. I think that surprise from the kids’ reaction might even support my theory, especially if they know Robin as Ted’s wife. My big thought is that Robin will still end up with Ted, but not bear his children. I’m not sure how exactly, but I could see it happening. Ever since the most recent episode (last night), people are believing more and more that there’s a possibility for the two of them, or that the real mother somehow dies after having kids with Ted and that he later winds up marrying Robin. I’d like to hope that Ted and Robin somehow end up together, although I’m not exactly sure how it would work. Interesting – I saw that idea before. I always thought of it as a possibility. Who knows, right? Thanks for sharing it. Wow, I really like your theory, Xtian. I think it’s plausible in HIMYM land. I know Ted’s going to fall in love and marry and have kids with someone else, but there’s something that keeps bringing me back to Robin playing a role in Ted’s future life. Looking forward to finding out. Thanks for your thoughts! yea i can’t get Marshall’s foreboding “Not Yet…” out of my head….time will tell…They have delved way too much into this Ted/Robin will they/won’t they shananigans throughout the entire series, starting from episode 1. Somehow they are gonna be together. Just a gut feeling. Holy cow–excellent point. I could definitely see that happening! Same here! I’m really glad they added that in the end. And although Lily’s wigs in the flashback to Ted and Stella’s wedding were pretty awful, I’m so glad they included that part. It shows Marshall’s dedication to being Ted’s best friend still. Somehow, I feel like Barney and Robin being together is just a stepping stone in Ted’s future relationship with the mother and his wife (whether separate, the same, or otherwise). It feels like Ted and Robin are on the verge of happening, but I bet we’ll have to wait until the very end to find out about them. The show is going to start letting loose all the secrets, from what Barney REALLY does for a living, to who Ted marries and has children with, to whether or not Ted and Robin end up together (or Barney and Robin), to who Barney marries, and the name of LIly and Marshall’s kid. It’s all going to come together somehow, and I look forward to it all. Haha, understandable – HIMYM isn’t everyone’s cup of tea. I would agree that the cast works great together, kind of interacting like a modern-day Friends episode. I know! Glad you brought that up – I have been on cloud 9 since I found out that she would be in The Avengers! I’m so excited about that. Love her. This theory still works! I mean think about it..
They’re making this way too obvious now. Barney and Robin fans are happy right now because they got their couple together, but after a few months, they’re gonna get tired of how boring Barney and Robin will get. Having a ninth season made me think that Ted and Robin will get together even more. If I knew this eighth season was the last season, I would’ve finally accepted that Ted and Robin can’t get together. But in the ninth season, they would HAVE to explore Ted and the mother’s relationship, and that is just…. No. I mean, we know she’s the mother, and we just see them go on dates. Not interesting. At all. Also, I always thought what the children would think about this. I remember I saw an episode where Robin had a lot of drawings with her and Ted’s kids, like being there at school with his kids and a lot of other stuff. Where is the mother in all of this? It seems that Robin spends more time with the kids than the mother does, if the kids draw about Robin instead of their own mother. And lastly, HIMYM put so many Ted and Robin moments together. “I don’t want perfect, I want Robin.” Him going after Robin countless times. Him saying that no matter what he does, it always goes back to Robin. Him saying I love you to “aunt” Robin so many times. Making it rain. Robin giving her speech to Ted on his wedding day to Stella. The 40 year old pact. And everything I listed isn’t even 1/10 of Ted and Robin moments. With this in mind, how would you feel if you were the kids, listening to Ted saying how much he loved their “aunt” Robin. Would you feel comfortable if Ted and Robin were in the same room alone without the mother. Actually, if you were THE MOTHER, and you heard all of Ted’s story, how would she feel about that. I can talk alot more about this topic but I’m tired. Maybe later. That’s a cool way to look at it. Hey, this is written like a year ago but i came by and wanted to comment. I’ve just watched the latest episode of HIMYM. The 9th season is pretty much different. We seem to know who the mother is. Robin is with Barney, it looks like everything is settled down except for some little questions such as what’s gonna happen between Lily and Marshall about the judge offer in NY and Italy conflict. The other question of this season and which seems to be the only one I can’t help but wonder is about Ted and Robin. I’m not asking this question because I love Ted and Robin together and root for them to end up together but because they brought it up. Robin has always been a huge influence on Ted’s life, Victoria’s last words when leaving him was “I hope you can get her someday” and Marshall and Lily’s bet on if Ted will end up with Robin, his insisting refusal for the pay up, and most importantly his feelings. Ted never did get rid of his feelings for Robin. They were always there and he kept going back to where he started in the very first pilot episode. Their tension and the question of if she is Aunt Robin and not the mother, why we get the story of how Ted never loved one like he loved her for 9 seasons is the question to which i still couldn’t find an answer up until now. I don’t know how it is gonna end up but all I can think of is a theory like yours. I just want Ted to be happy at last. And he has loved Robin for so long, I want him to end up with her too.